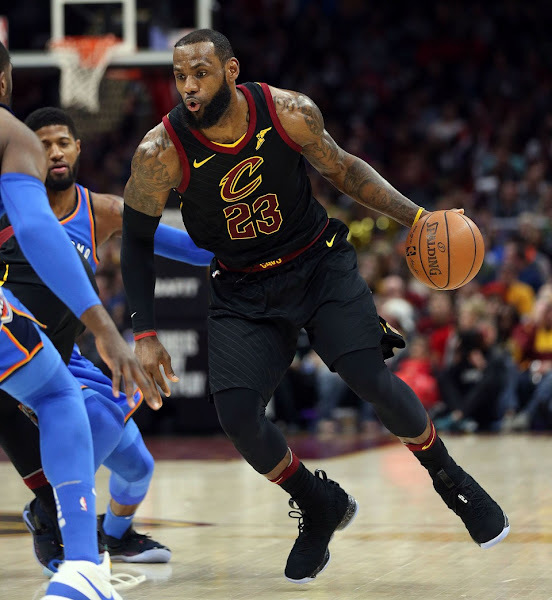 LeBron James had another interesting night in what has been, well, a strange season. In the Cavs’ 115-108 win over Indiana Friday, James became the third player in the last 15 years (spanning his whole career) with the wrong kind of “quadruple double” – or double digit turnovers to go with double digit points, rebounds and assists. 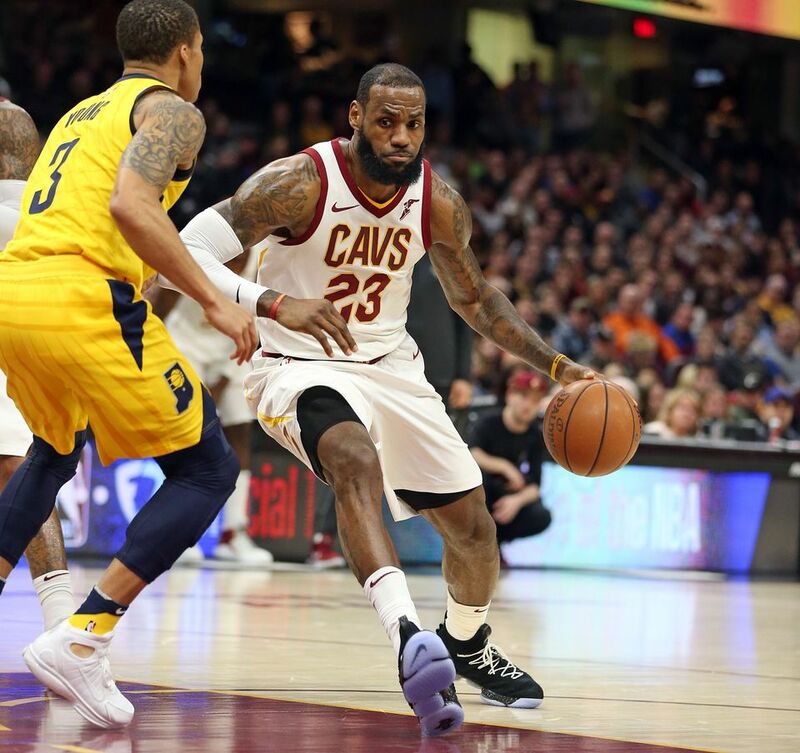 James suffered through a career high 11 turnovers, which were the most by an NBA player this season. 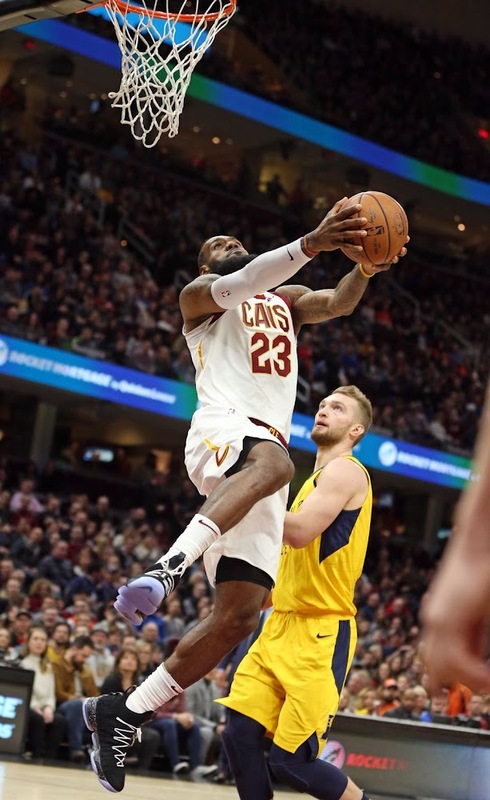 He also scored a game-high 26 points to go with 11 assists and 10 rebounds for his eighth triple double this year. 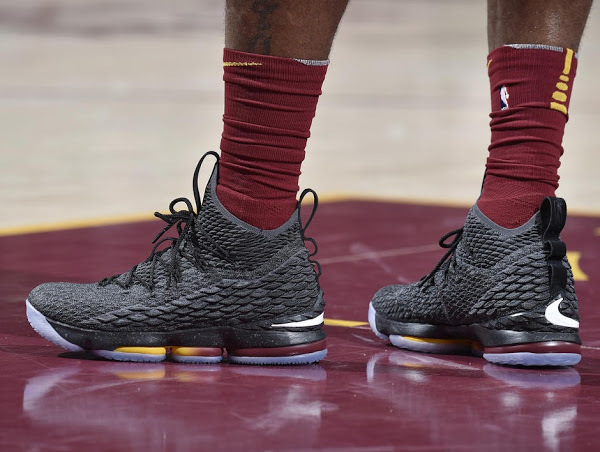 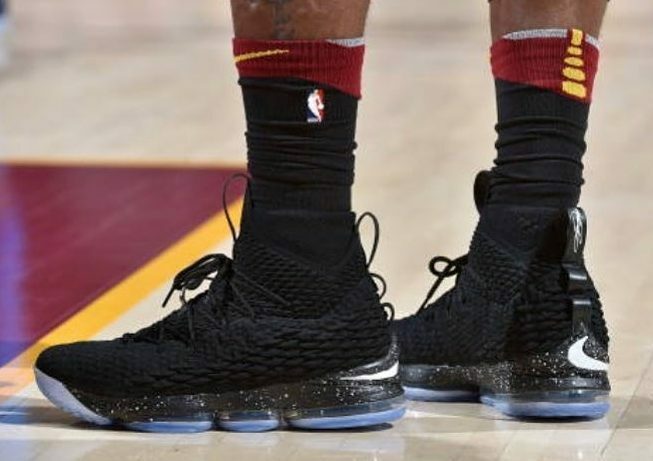 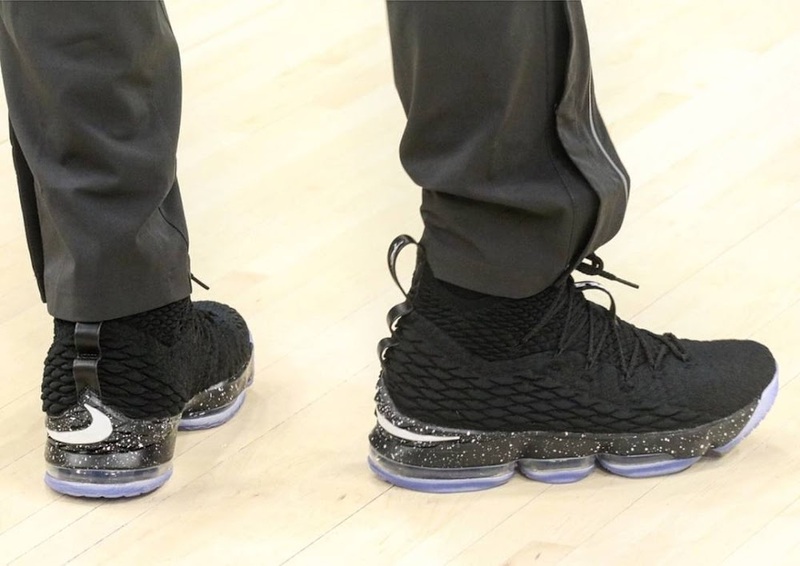 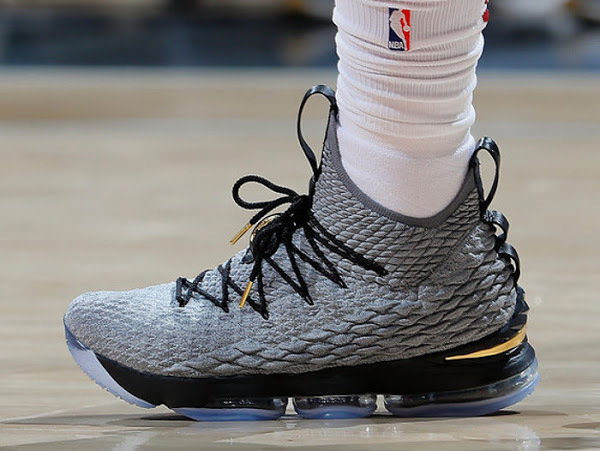 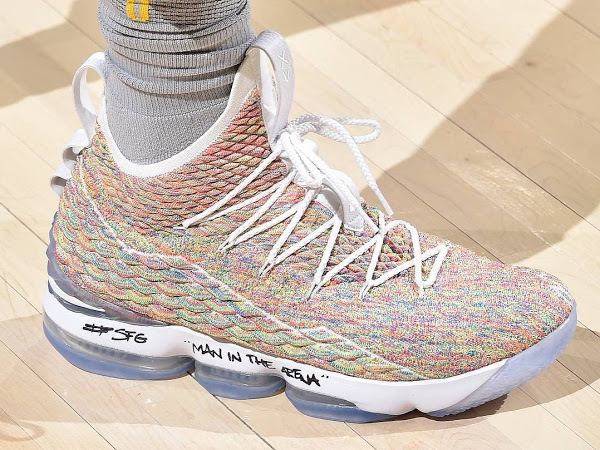 The King laced up the Black and White colorway of the Nike LeBron 15, which he also wore against the Thunder last Saturday. 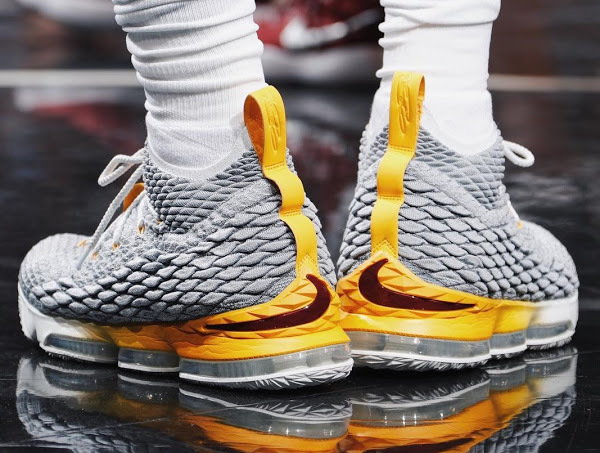 This time his shoes did stand out a little more because he went with White laces… definitely the right call. 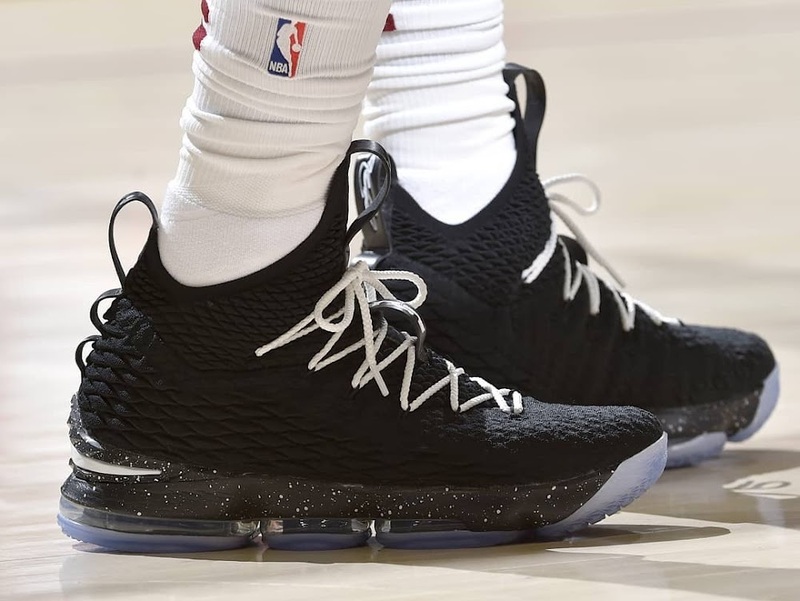 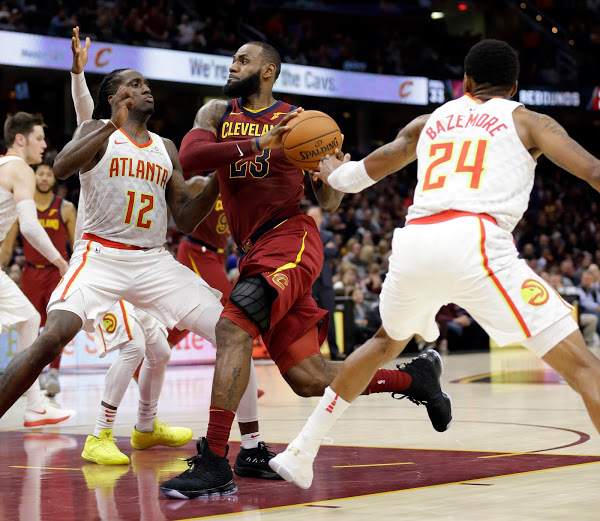 You can track LeBron James’ whole 2017-18 season kicks right here.